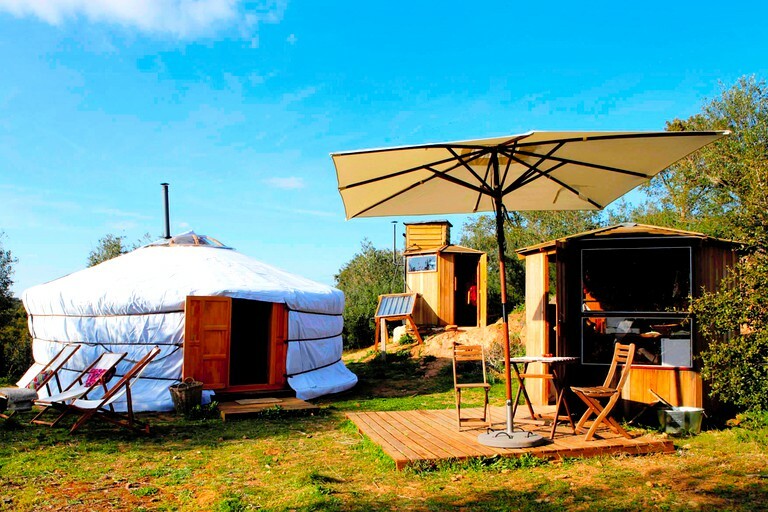 These spacious glamping yurts are located in Evoramonte, Portugal, and can comfortably accommodate two adults and two children, although other configurations are possible. 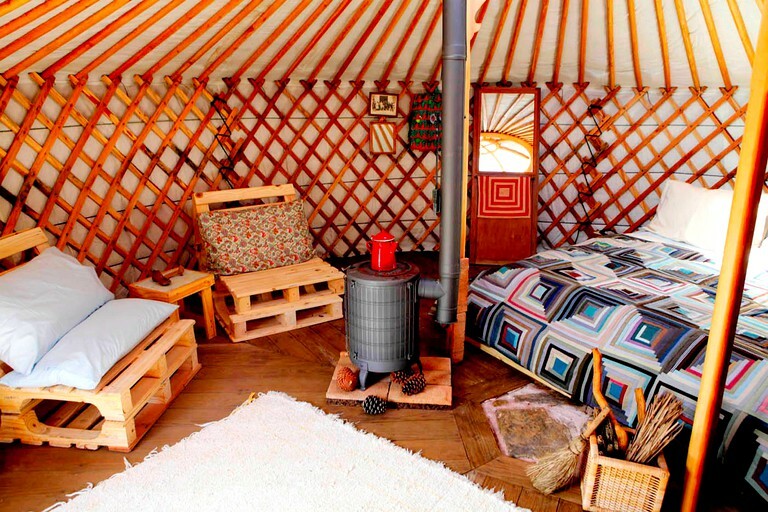 Pets are welcome as well. 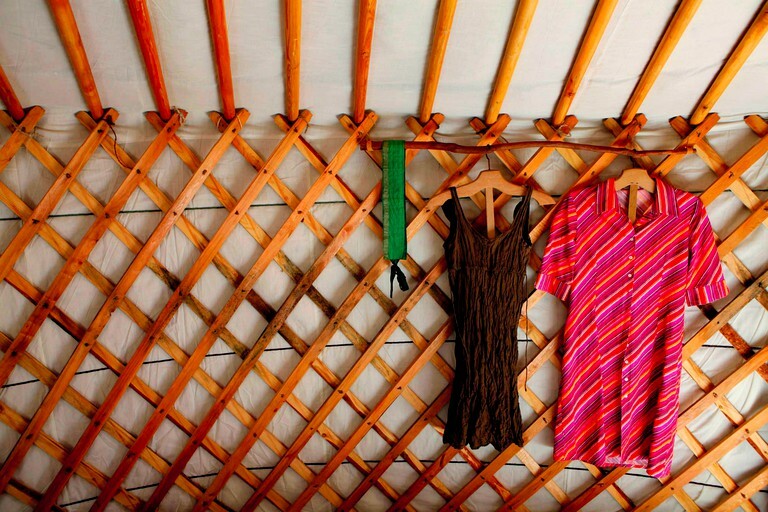 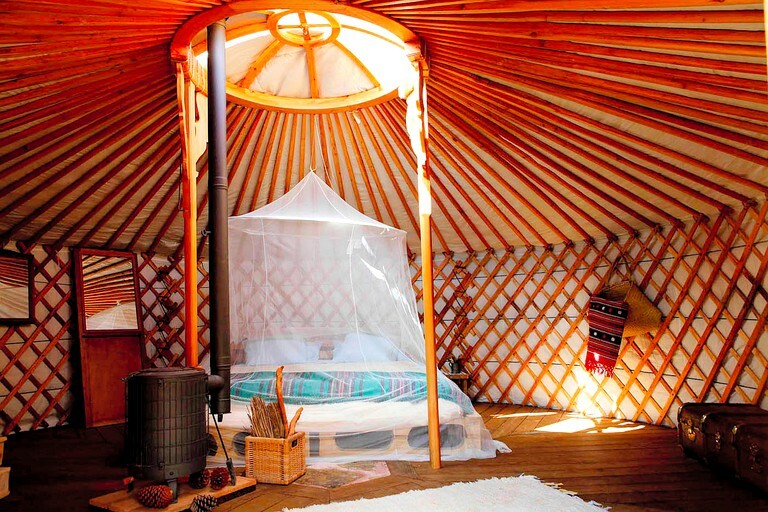 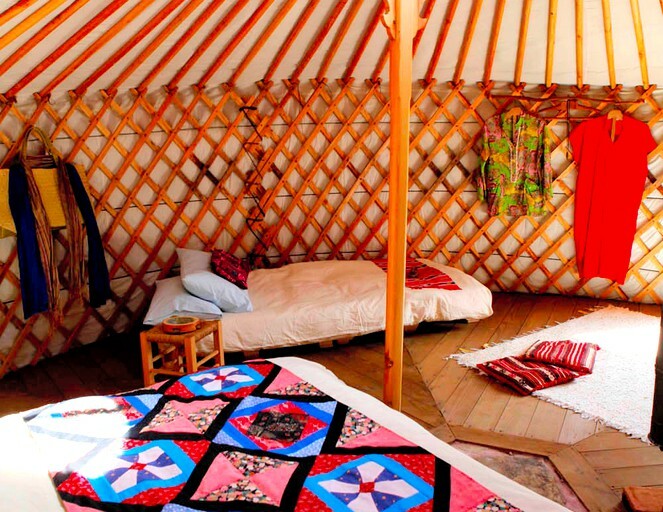 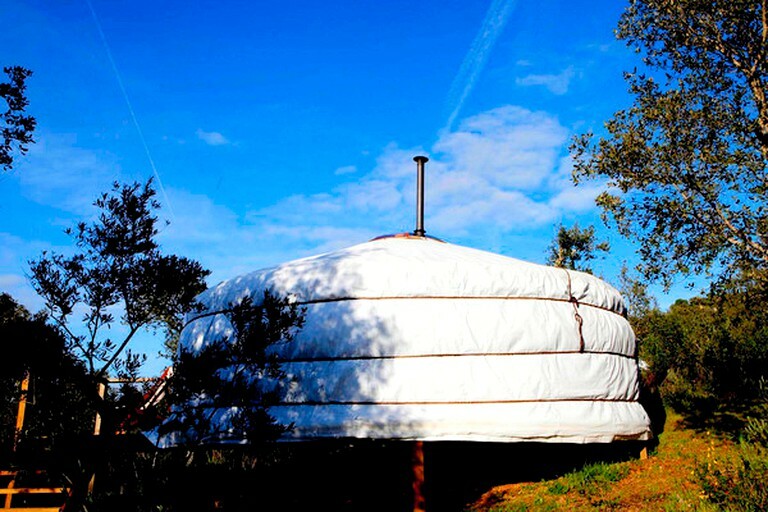 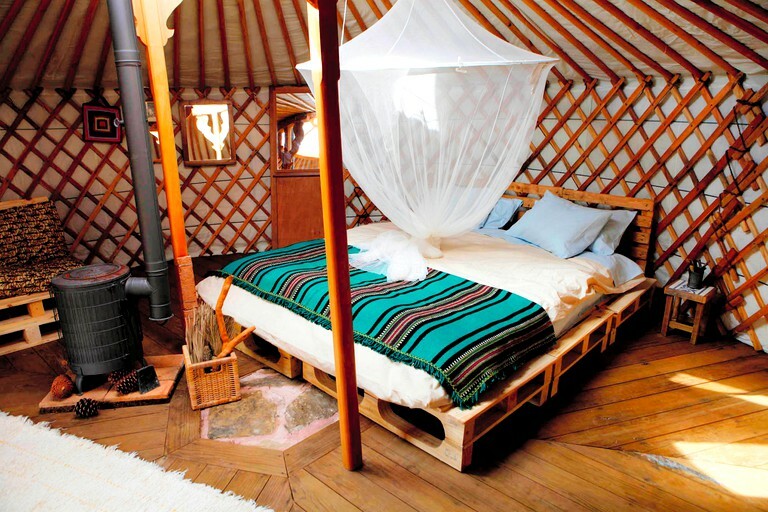 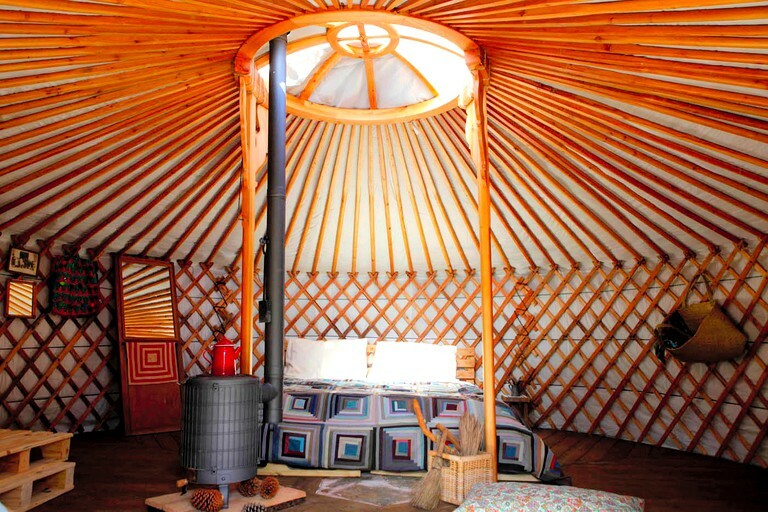 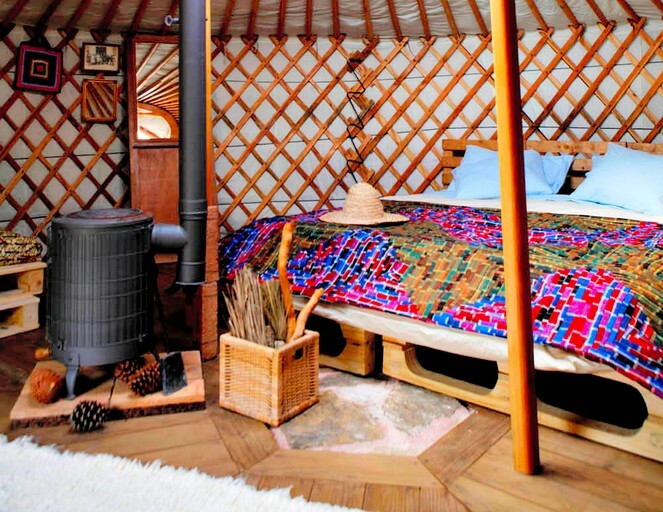 Each yurt has a king-size bed with a sheep wool mattress and two reclining chairs that convert into single-size beds. 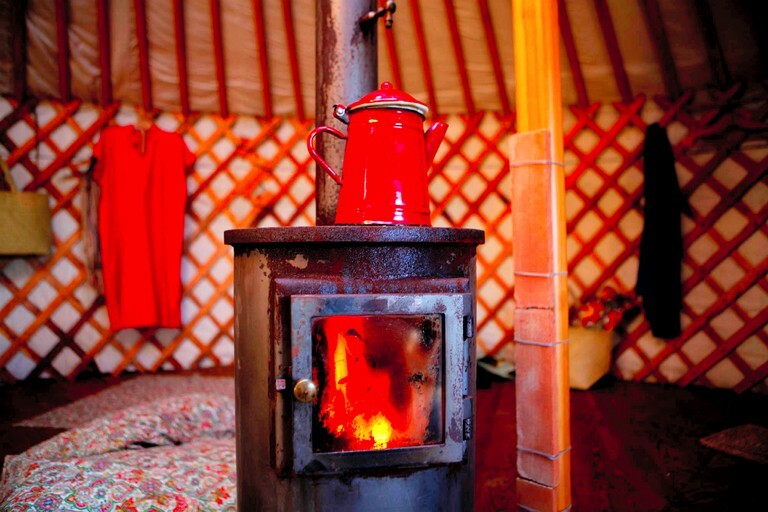 A salamander stove provides ambient heating, and linens and wood are included. 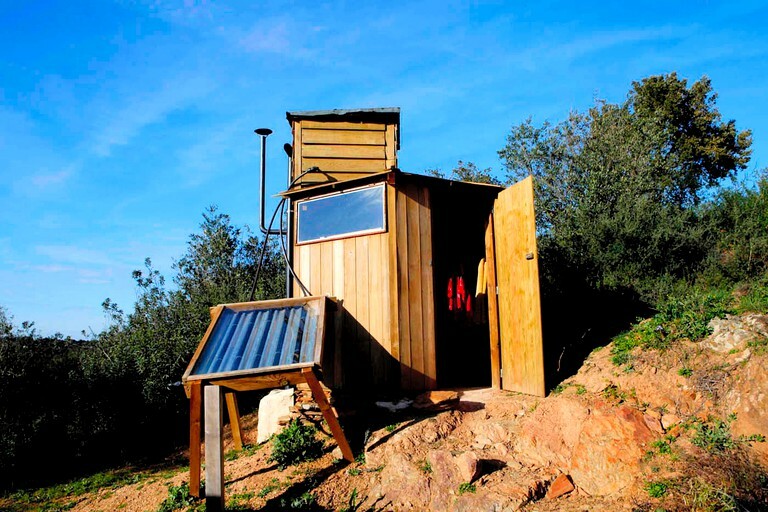 Other amenities include a gas oven, a mini-fridge, a traditional African fridge, and water can be heated in small solar stoves. 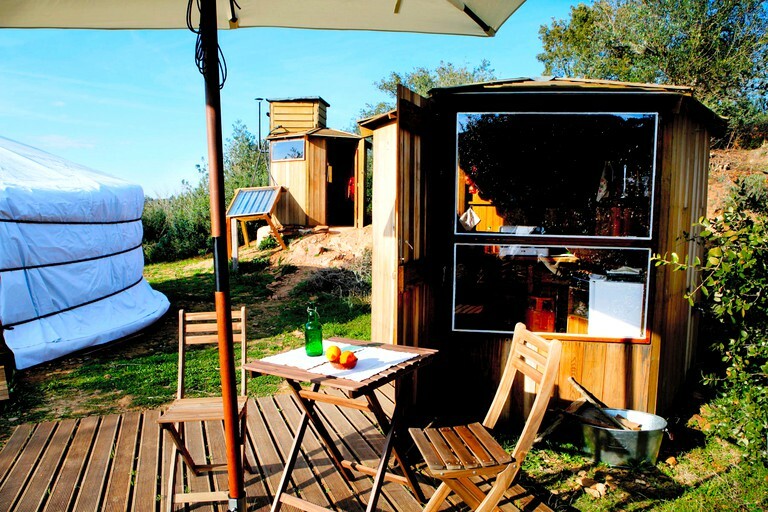 Each rental also has a composting toilet and a shower that is heated through solar paneling and bath towels are provided. 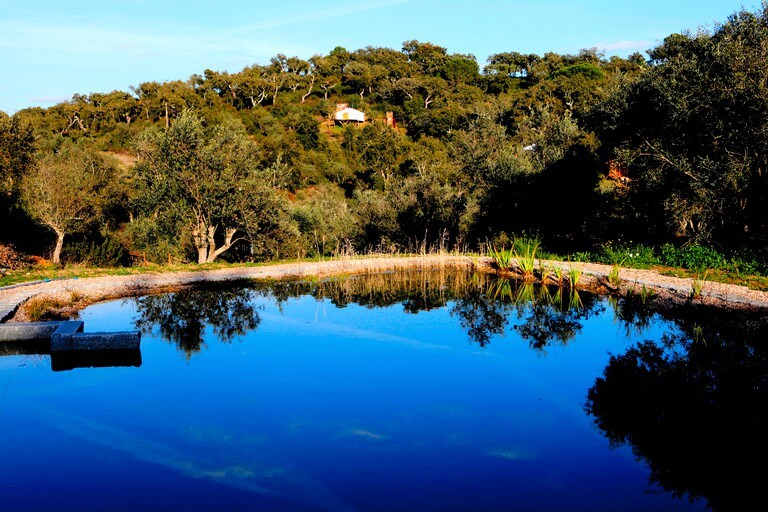 There is a fantastic biological swimming pool that is similar to a pond or a lake with its own natural purifying system. 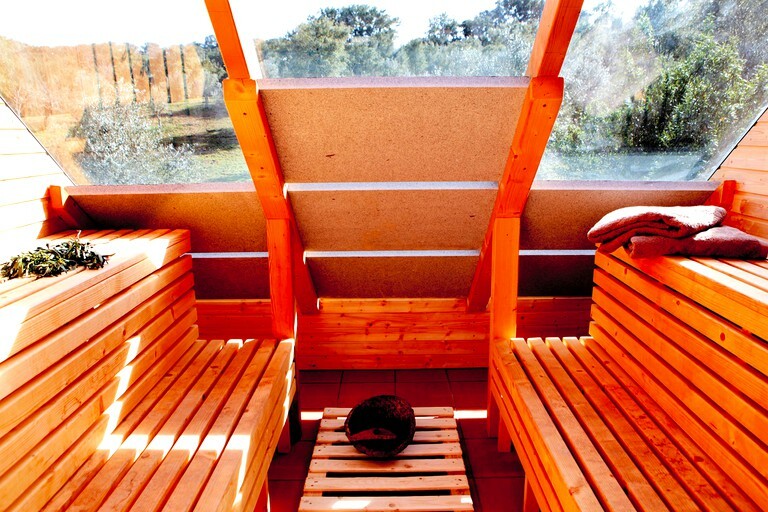 There is also a solar sauna next to the pool. 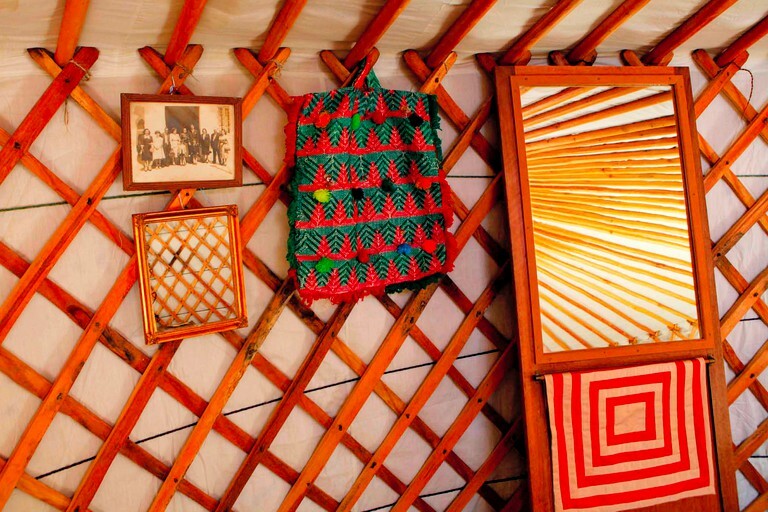 Basic mountain bikes, games, books, and magazines are provided. 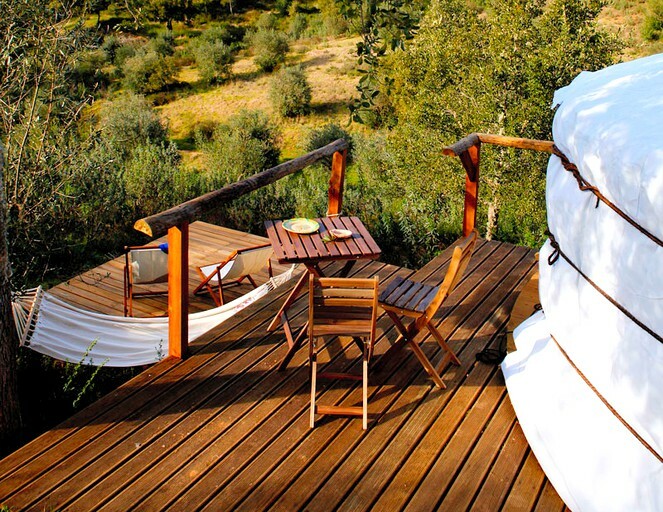 Guests also have complimentary use of biological hygiene and cleaning products. 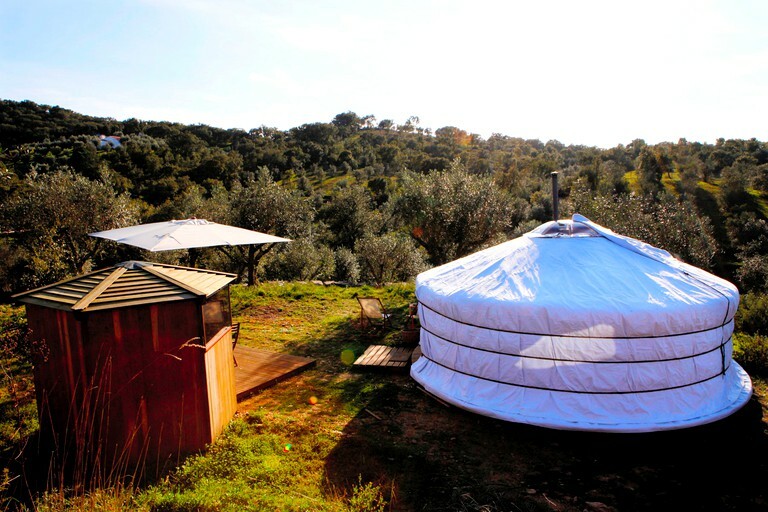 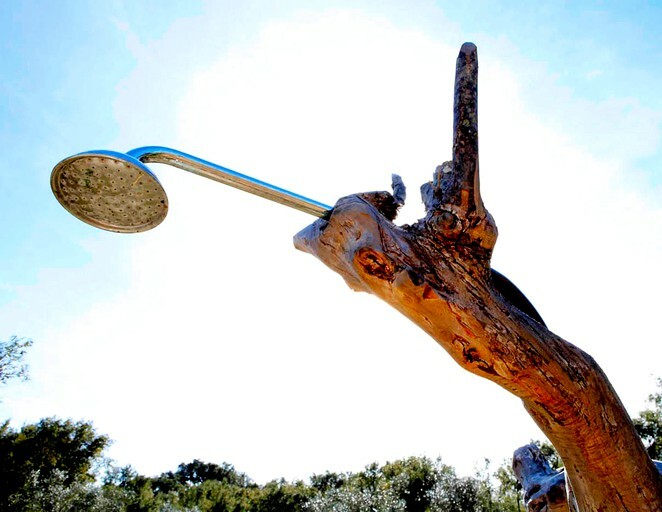 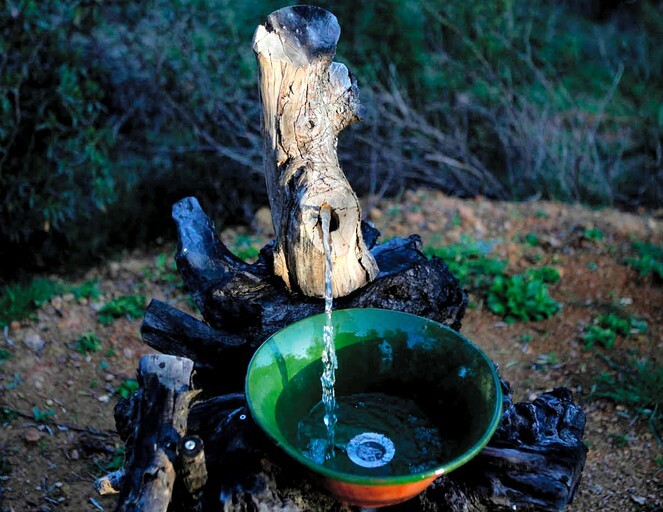 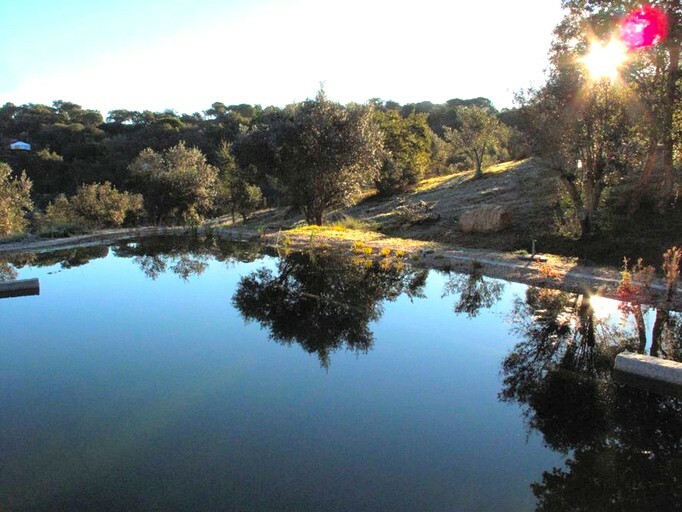 Traditional olive groves surround the site, offering the perfect environment for guests and their pet to explore! 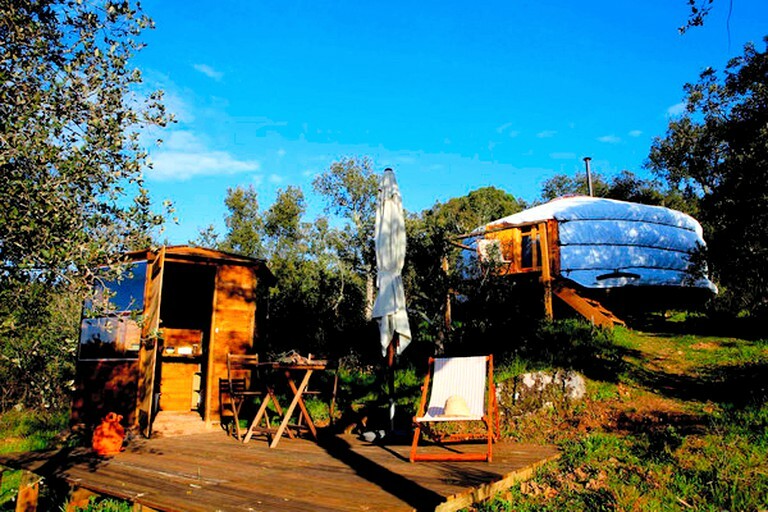 Guests and their four-legged friends will have plenty of adventures relaxing in the Portuguese countryside at this glamping site. 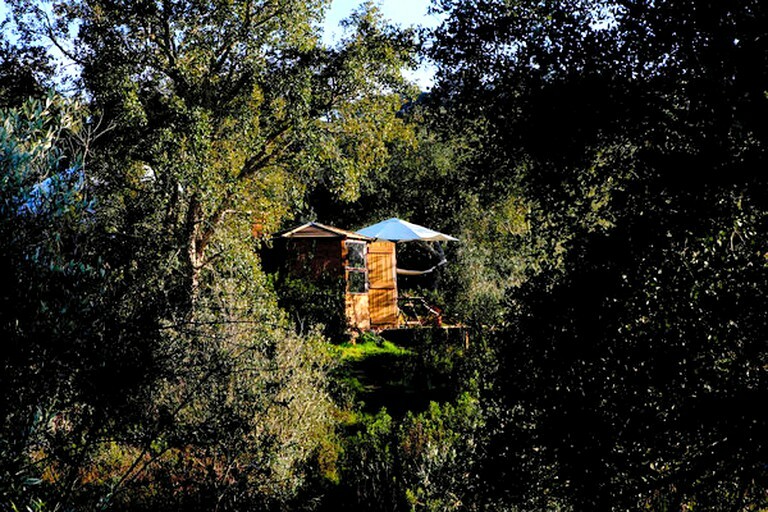 Guests can explore the wilderness surrounding the property by hiking along scenic nature trails with their canine companion. 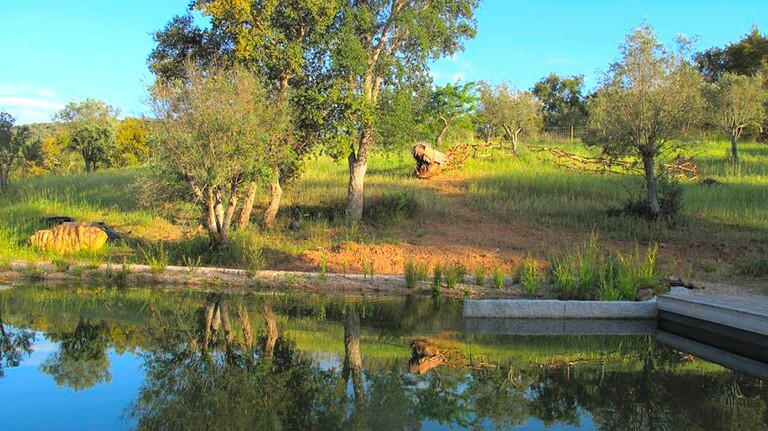 Visitors can spend their afternoon playing games of fetch along the shore of the Alqueva Dam Lake or visit the nearby towns and villages of Evora, Arraiolos, Borba, and Estremoz to immerse themselves in the traditional Portuguese way of life. 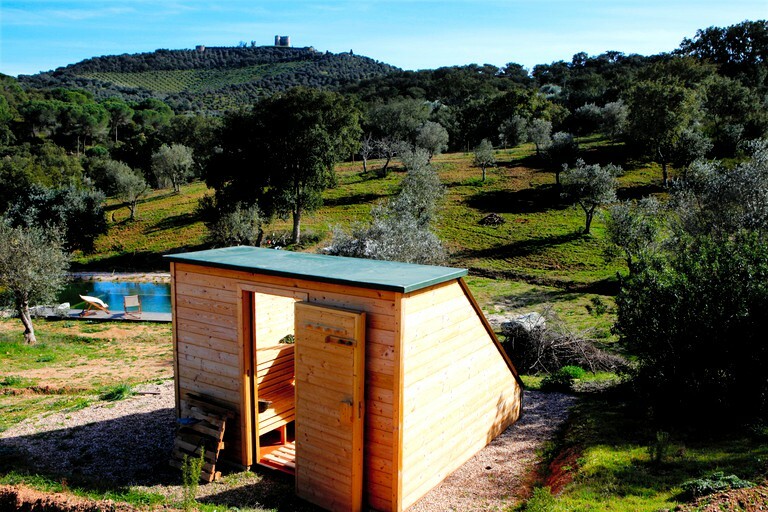 If guests want to stay around the property, they can bring their pal into town for some sightseeing of the historic castle. 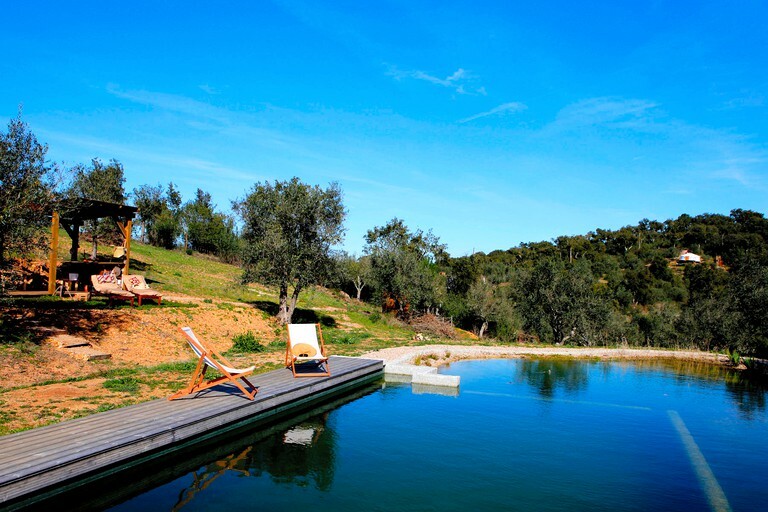 After a busy day, guests can return to the property where they can lounge by the natural swimming pool or unwind in the sauna while their pet takes a well-deserved nap. 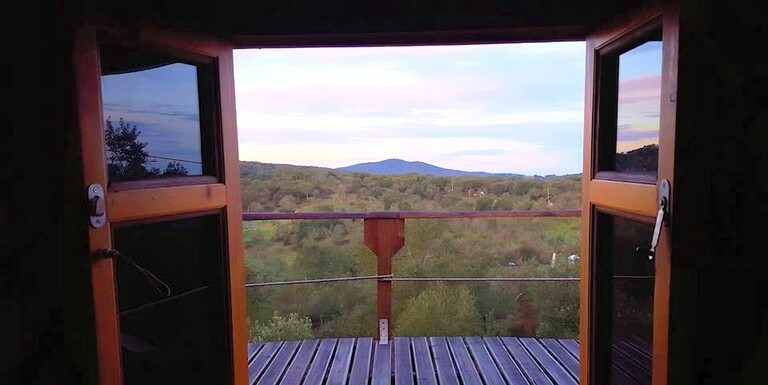 Pets are welcome to roam freely on this property. 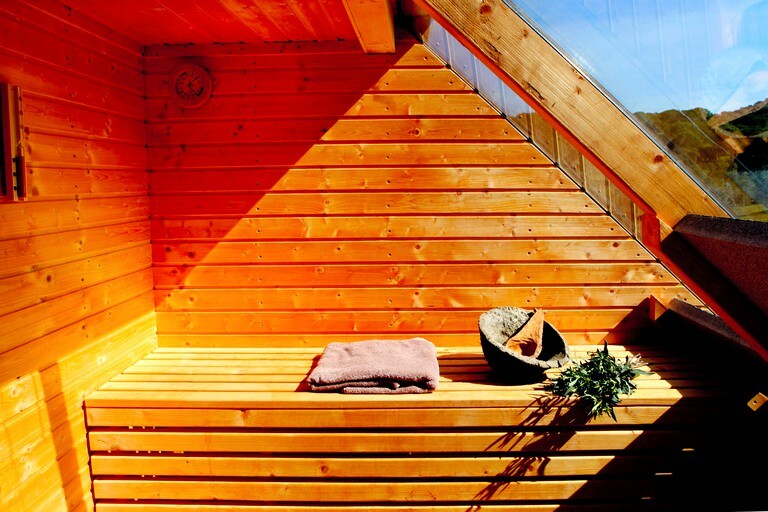 Rates are based on double occupancy and vary according to season. 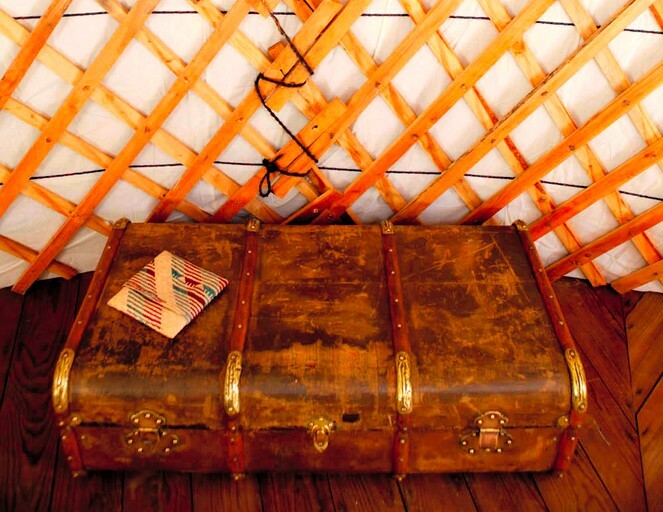 Reservations for less than three nights have an additional charge of $25. 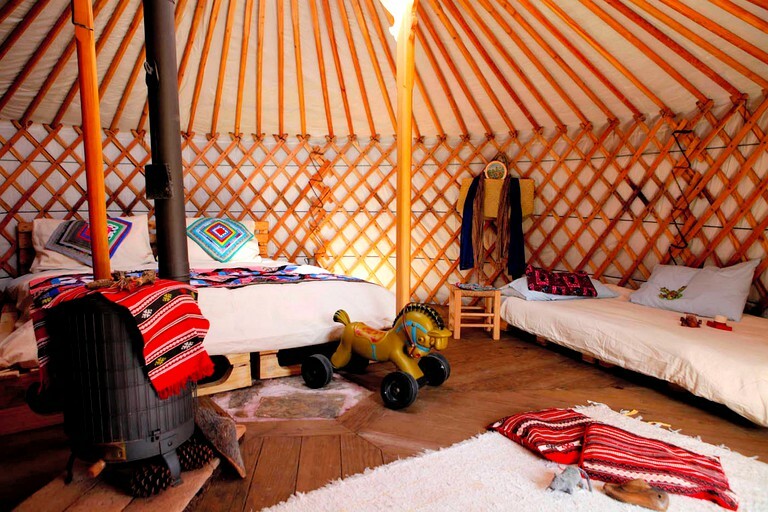 A complimentary baby bed for children under 3 is available upon request.